Home / Henna Hair Color & Care For Women / Should You Create Your Own Henna Hair Color Or Use Pre-Mixed Henna Hair Dyes? Should You Create Your Own Henna Hair Color Or Use Pre-Mixed Henna Hair Dyes? 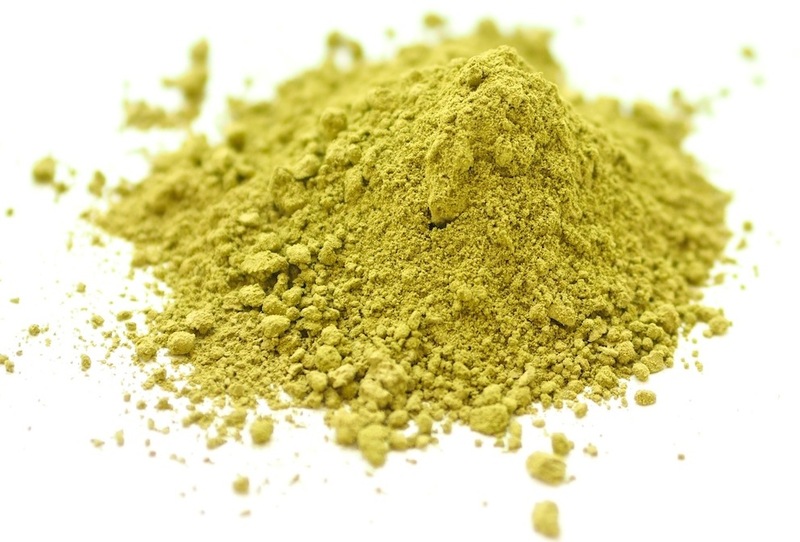 Should You Create Your Own Henna Hair Colors Or Use Pre-Mixed Henna Hair Dyes? This shouldn’t even be a question folks, it’s better to create your own henna hair colors as they’r more effective and provide better results because everyone’s hair is a unique shade. The second reason is because of the the way these natural colors and herbs work (the chemistry of their development). For the sake of this article the term henna hair colors will be used as a broad term for hair colors created using any combination and proportion of henna/indigo/amla/cassia. Also, when we say pre-mixed henna hair colors, we’re referring to pure henna hair colors from reputable sellers and not the henna hair colors that advertise a range of shades, which they create by adding ppd and other chemicals. They then try to sell it as “all natural,” so please be aware and educate yourself on what constitutes as good henna hair colors. Now if the pre-mixed box of henna hair color says it’s a dark brown, yes, it’s probably going to color someone’s hair dark brown but not yours (as in not for the majority of you) as everyone’s hair color is different. 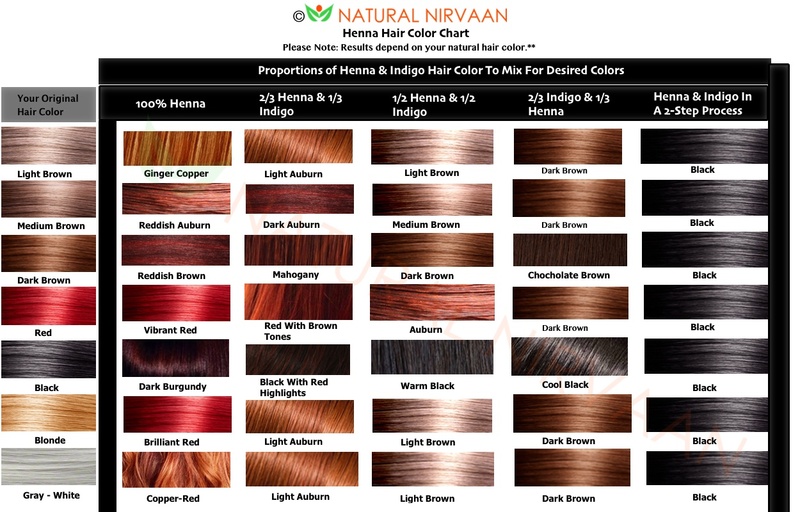 The same advertised brown can be achieved by creating your own henna hair color. Say your friend has light brown hair, you have dark brown hair and your friend has red hair, each of you will need different proportions of the key herbs to achieve the same brown. This is why a standard box of brown will not work on all hair and it is advised that you mix/create your own henna hair color. Henna hair colors do not work like conventional hair colors. Conventional hair dyes color over your current hair color, whereas henna hair colors are translucent dyes; they bind to your current hair color to give you the resulting hair color. So the exact same pre-mixed henna hair color that’s applied on different hair colors will give you different results with unique-to-you highlights and lowlights. Now that you understand why, it’s time to create your own henna hair color! The second reason why you should mix your own henna hair colors and not used pre-mixed henna hair colors is because of weak color development. The two main ingredients of most henna hair colors – henna and indigo develop their respective colors in varying time frames. Henna takes longer to develop – anywhere from 4-8 hours and indigo develops in 5 minutes and is ready for application. So, how can a premixed package containing both of these ingredients work effectively? If you prepare the pre-mixed henna/indigo combo for application and let it sit for 4 hours, the indigo is going to lose it’s potency. And if you create the paste and apply it within 10 minutes of mixing as many sellers suggest, the indigo is going to work just fine because it develops within minutes but the henna in the mix wouldn’t have reached it’s full potency yet, so you’re going to end up with a diluted color which is not the true color. Had you mixed henna hair colors the right way — to allow for maximum potency, it would give you the true and desired color. For many of you, the pre-mixed colors may seem easy but it’s not going to give you the color you want. 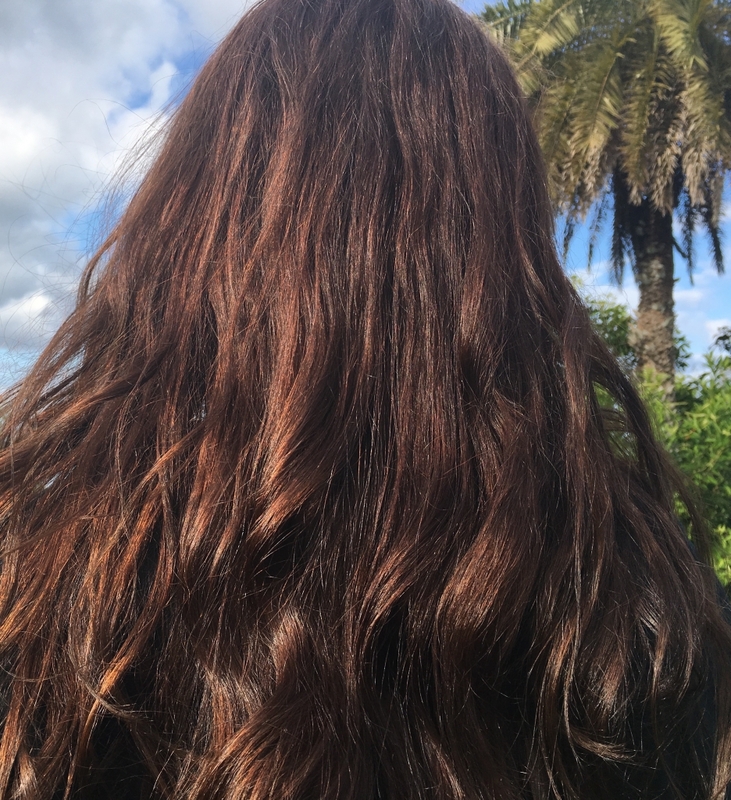 Don’t think of mixing your own henna hair colors as a chore, it’s 15 minutes of time well spent, to give yourself soft, silky beautiful hair in the exact shade and color you want. It may take a little bit of experimentation to figure out the exact combinations needed for your desired color but it’s not going to ruin your hair, so go ahead and create your own unique henna hair colors. 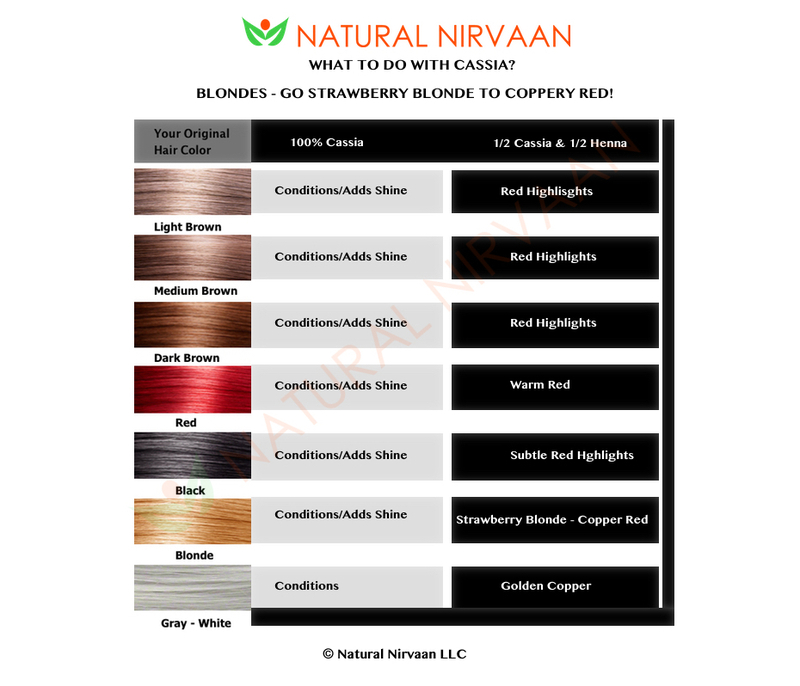 Here’s the Natural Nirvaan Henna Hair Color Chart and Natural Nirvaan Cassia Hair Color Chart to help you with process of choosing the shade you want, which is to be used as a basic guide only. Remember you can adjust the proportions for the all the ranges in between these basic shades to find a color that suits you better. Make a little time for beautiful healthy hair just as you do for your health and wellness. Your hair is your crowning glory and do what you can to keep it healthy and shiny for the rest of your life! Be bold and beautiful – create your own unique henna hair colors!